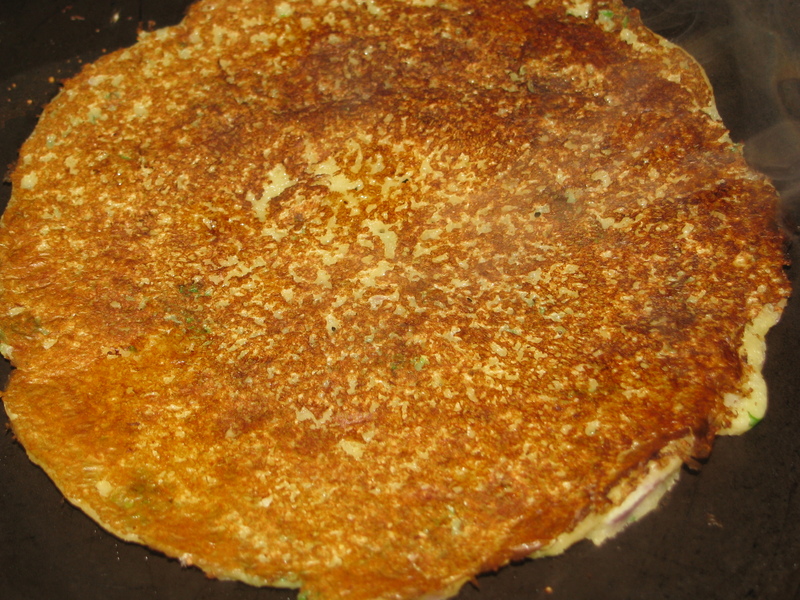 Besan ka Cheela / Dosa is instant Dosa made from Besan , rava (sooji)/ rice flour and curd. This is easy instant Cheela / Dosa made from Besan (chickpea flour ). 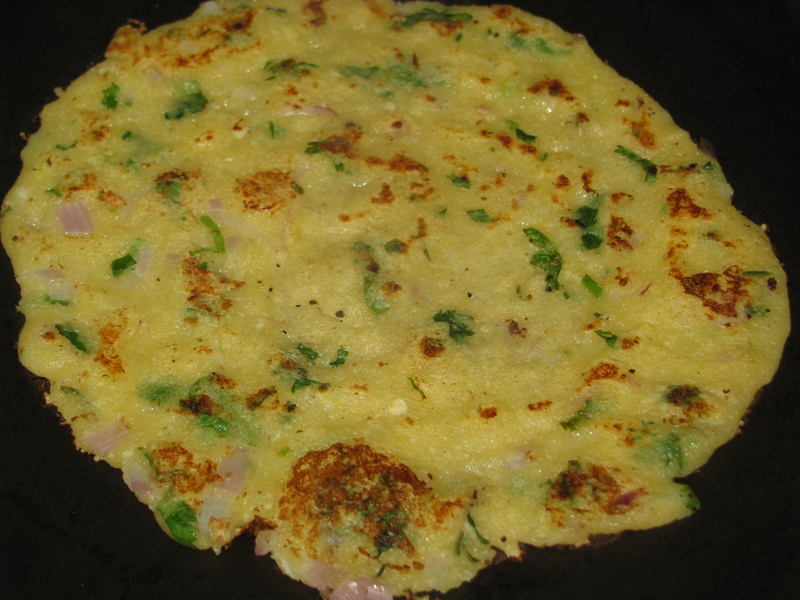 I add finely chopped onion, coriander and little spices to make this instant Dosa uttapa style. 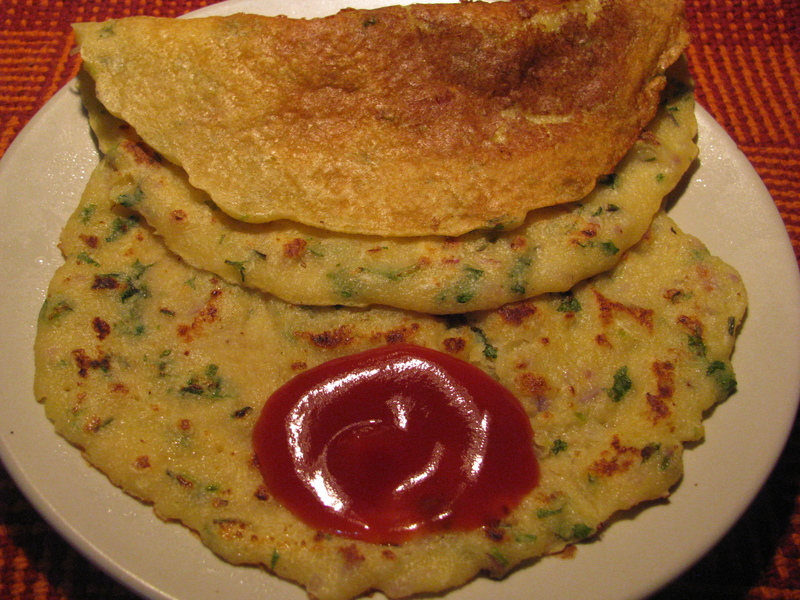 You can eat this Besan chilla without and chutney as it tastes too good. My kids prefer it with sauce. If you want you can make coconut chutney or pudina chutney with this Chila / Dosa. One of my Punjabi friend adds grated paneer to make this Cheela , in Bangalore I always had paneer Dosa in my favorite food junction Woodys and this paneer Besan ka Cheela in Punjabi style also tastes good .last Sunday I had made this Besan ka Cheela but its without paneer you can add grated paneer to this same recipe to make Paneer Besan ka Cheela. If you want to make Cheela vegan add water in place of curd . Soak rice rava / wheat (gheu)sooji (rava) with curd for 2 hours. Add Besan to this curd soaked sooji /rice flour and mix it , add little water to make Dosa batter / Cheela batter consistency . 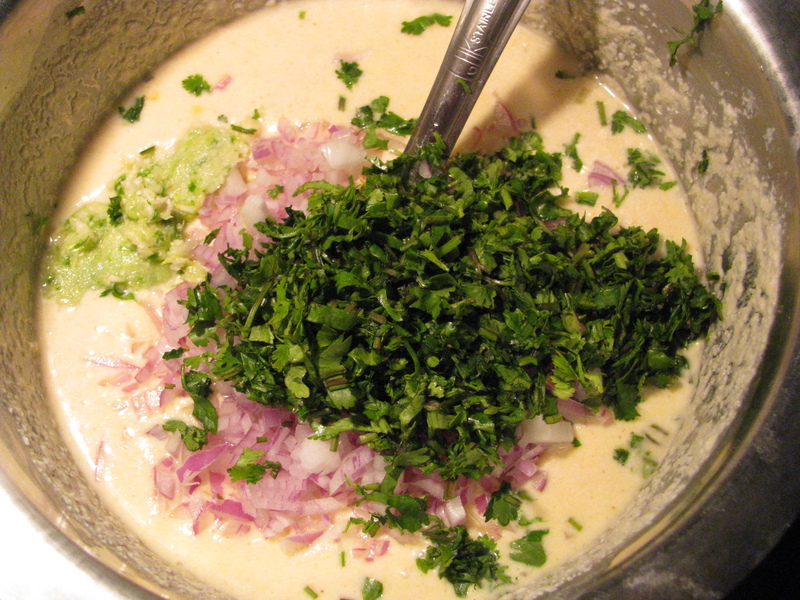 Add onion, coriander leaves, green chilly garlic paste & salt in Besan sooji / rice rava batter. Now heat a non stick tava/ pan, take a ladle of Cheela batter and spread it in a circular way on tava . Tip – if you’re using rice rava ,soak it with curd for 3-4 hours. Sooji take less time to soak as compare to rice rava.